Flies of any kind are most annoying and you should use effective fly repellents to get rid of flies. 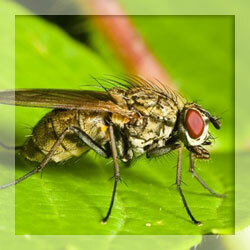 Flies are of different kinds like white flies, black flies, dog flies, fruit fly, stable fly, gnats, and many others. Some flies MAY cause allergic reactions and some species of flies could even cause choking. Therefore, it is most necessary to make use of a proper fly repellent to get rid of flies within and near your dwelling. Any repellent containing DEET can prove to be an effective fly repellent. Always use repellents on your clothing as a spray to get rid of flies. It is best not to use repellents on your skin as it could cause allergies due to the presence of various chemicals. Using a flytrap as a fly repellent can prove effective in getting rid of flies. You can make your flytrap at home or make use of a readymade one. Fly traps require placing of the bait at a location from where the brightest light leads right into a trap. Flies feed on the bait and immediately fly towards the brightest light source and get trapped. You should take care to keep the bait moist. The ideal bait could be a mixture of cornmeal and molasses. A simple but effective fly repellent is to make use of zip-lock water bag to get rid of flies. Fill zip-lock bags with water, ideally half-full. Attach these bags at entry points. The moving water within the bag causes refraction of light and repels flies. You thereby remain free of flies. A flyswatter can also prove to be an effective fly repellent. You can use a swatter to get rid of annoying flies within a specific perimeter. Flyswatters are available at local department stores. Flypaper is also an effective fly repellent. However, you need to use it very intelligently. Glue on flypaper is very difficult to remove from clothing or hard surfaces. You should therefore follow an elaborate process to set up and remove flies trapped through flypaper. Using flypaper in direct sunlight can prove very effective. You can make use of bug zappers as fly repellent. These traps are available as small indoor versions or huge ones for outdoor use. These traps attract flies to an electrified grid with their ultraviolet light. A high-voltage current within chars flies immediately. Although this trapper can get rid of flies, it could also kill beneficial insects. Another fly repellent commonly in use to get rid of flies is insect repelling torches and candles. These torches and candles contain citronella oil, which cause flies to repel. A simple way of combating flies is to spray a warm water solution containing few drops of dish soap. Pour this solution within a spray bottle and shake bottle well before use. The soap can dissolve flies and help you get rid of flies. You can make a natural fly repellent to get rid of flies. Place a small piece of cloth or a sponge within a closed tin. Saturate the cloth or sponge with any essential oils like Citronella oil, Peppermint oil, Lavender oil, Eucalyptus oil, Lemongrass oil, or Pennyroyal oil after proper dilution. Allow saturation for twenty-four hours. Whenever you require a fly repellent, keep open lid of tin. Flies will not come in the vicinity due to the smell of essential oils.